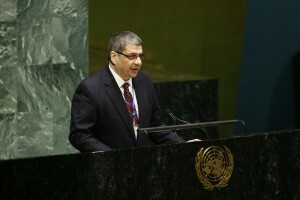 The issue of the return or restitution of cultural property to the countries of origin constitutes an area in which international relations are put to a test — a noble test, I would say — to ensure that cooperation among state and non-state actors can positively affect the lofty goal of protecting the cultural heritage of humankind. My delegation attaches particular importance to the issue and to the efforts of the United Nations in general, and the United Nations Educational, Scientific and Cultural Organisation (UNESCO) in particular, for the considerable work that is being done in this direction. In this respect, we welcome the Secretary-General’s report, contained in document A/67/219. Cyprus, as a State party to the Hague Convention for the Protection of Cultural Property in the Event of Armed Conflict of 1954, and a signatory of its Second Protocol, follows with interest the work undertaken to address the illicit sale of cultural objects on the Internet and the need for Member States to adopt appropriate international legislation in the field. The combating of illicit trafficking in cultural property is a task that requires perseverance and multifaceted collaborative efforts. One of the major areas in this direction is the promotion of international documentation for recording data of cultural property and the dissemination of information in order to assist its recovery. Cyprus also takes the view that, in order to stop illicit trafficking, States should ensure that customs and border control officials should be fully trained in their duties to apply the rules of the UNESCO Convention on the Means of Prohibiting and Preventing the Illicit Import, Export and Transfer of Ownership of Cultural Property of 1970, and to report any cases of illicit activity to the appropriate authorities of the State party concerned. My country is fortunate to have 9,000 years of recorded civilisation, which have left us with an immense cultural heritage stock that we have an obligation to protect and bequeath to future generations. By virtue of its geographical position at the crossroads of three continents and many civilisations, Cyprus’ cultural heritage has, through the millennia, been continuously enriched and provides a unique insight into the many civilisations that have existed on the island during its long and eventful history. Many of the artefacts of this rich cultural history can be viewed in museums throughout the world. Many more, unfortunately, have become the objects of illicit trafficking, especially those removed illegally from the territory of the island under occupation since 1974. The devastation in the occupied areas of Cyprus is systematic and widespread. Churches, chapels, monasteries, cemeteries, libraries, museums and private collections of religious art and antiquities were destroyed and looted. The illicit trade operated from the occupied areas of Cyprus has been illustrated nonetheless by a number of cases brought to courts around the world by the Church of Cyprus, who is the rightful owner of many of those artefacts. One very well-known case, with international repercussions, has been the removal and illegal export of the Kanakariachurch mosaics, a rare work of art of the 6th century. A lawsuit filed by the Orthodox Church of Cyprus in the United States District Court of Indianapolis resulted in a judgment in 1989, whereby the mosaics were returned to their rightful owner, the Church of Cyprus, two years later. In a relevant case filed before a German court, the court decision in 2010 opened the way for the repatriation to Cyprus of artefacts looted from Kanakaria and other churches and monasteries. Prevention, customs training, criminal justice responsesand international cooperation lie in the heart of our strategy on this exceptionally important issue. We reiterate our unwavering determination to use all the necessary legal and political means to repatriate our illegally obtained cultural treasures. We look to the international community to extend its solidarity and support in our effort to protect an invaluable part of the cultural heritage of humanity. 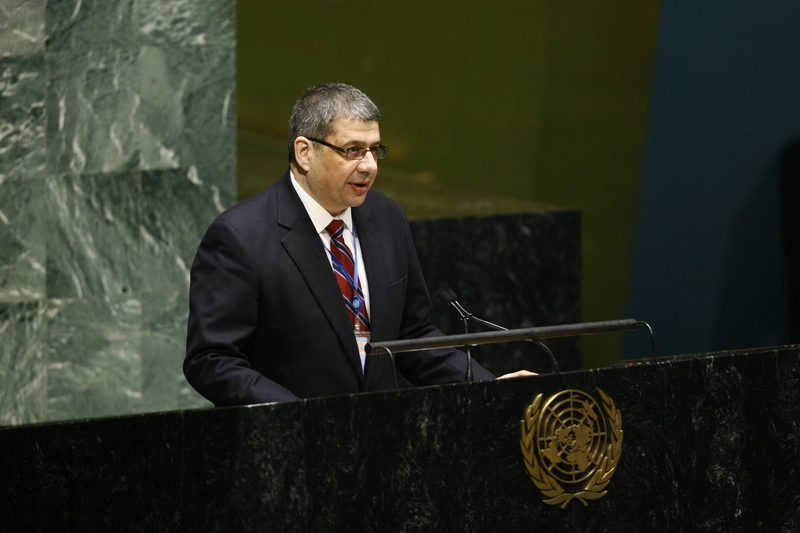 · Video of the 53rd plenary meeting of the GA – Ambassador Emiliou delivers his statement at 13:36-19:32 min.